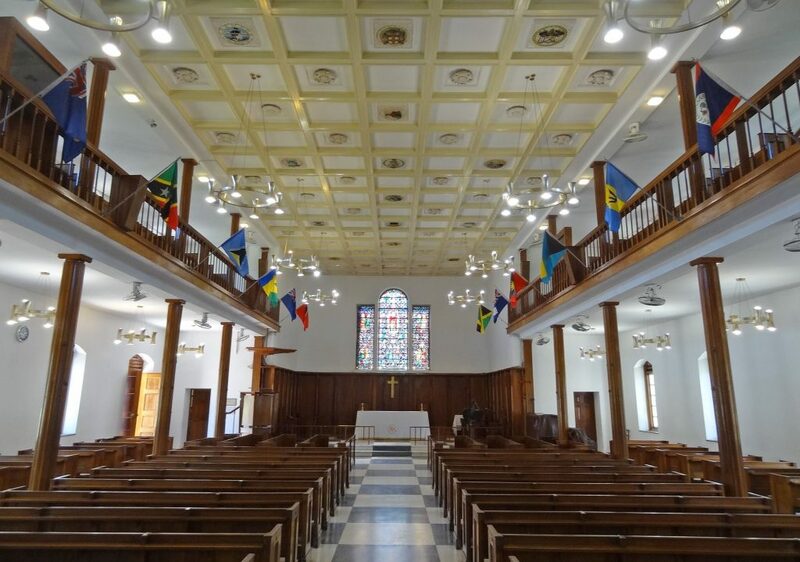 Duncan Sutherland will talk about the chapel on the Mona campus of the University of the West Indies, with a particular focus on the meaning of the symbols which decorate the ceiling. One of the architectural gems of the University of the West Indies Mona campus is the non-denominational chapel, an elegant industrial Georgian building, moved to Kingston from Trelawny, then converted for spiritual use. This talk will look at the story of the building’s adaptation and decoration, and explore in depth the ceiling’s eighteen carved wooden roundels. These roundels depict official symbols of the British West Indian colonies which were part of the university college, symbols of British and European royalty and the historic arms of Jamaica, which will receive special attention. Dr Duncan Sutherland is a Canadian who studied British parliamentary history at Cambridge, where he first became seriously interested in heraldry. He has accompanied his wife on diplomatic postings and done historical research in Singapore, where he co-wrote two books commissioned by the president. They also lived for four years in Jamaica. He was part of an oral history project involving Jamaican World War Two veterans for the RAF Association, and has published articles in Jamaica on the postal history of Falmouth and the first one hundred years of Jamaican postage stamps. He gave the FGSJ a very interesting and informative talk in November 2016, entitled Heraldry in Jamaica, 1722 to the present which has since been published in The Coat of Arms journal. He will talk about the chapel at the meeting of the FGSJ on 19 March 2019 at 6:15 for 6:30pm at The Jamaican High Commission, 1-2 Prince Consort Road, London, SW7 2BZ. Tickets can be purchased from Eventbrite.